Music and technology move on at a very fast pace these days, basically much like any technological advancement; if you stand still, you’re lost! The problem with that whole situation is that the things you enjoy about the way things were, can often become lost too, or even obsolete. For instance, you might have an extensive collection of old LPs or vinyl records, and you might have some of your favorite tunes on them, tunes which you would love to listen to every day. You might not want to keep buying a new format of the music because you feel that it loses its shine; there is something quite extraordinary and retro about an LP, after all. So, what can you do? Well, thankfully there are many turntables still out there on the market, and ones with an enormous amount of features for you to make use of besides only listening to music. Whether you’re a wannabe DJ, a professional, or simply a music lover who wants to try something new, there are many turntables under 300$ you can invest in, and use at home, or for your work. The problem with that, however, is how do you know which are worth the money, and which just aren’t? Yes, there are many record players under 300$, and that’s an affordable price to pay, but it’s no good buying substandard equipment. For that very reason, we are going to take a very close look at one of the best on the market, the Audio-Technica AT-LP120-USB. We will look at its specs, what it has that makes it stand out from everything else, and explore whether it is the best for you. 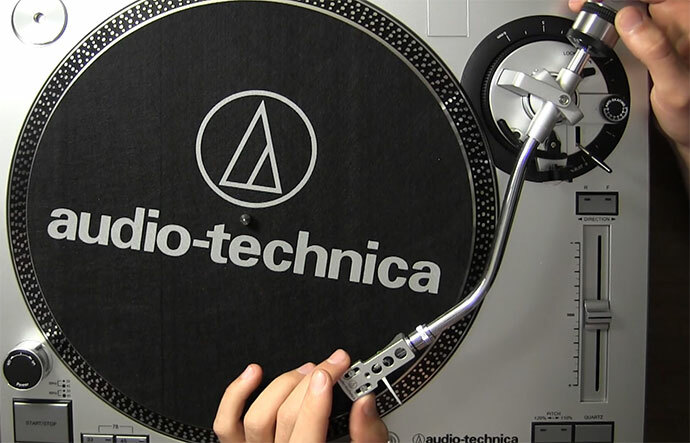 Consider this your ultimate Audio-Technica AT-LP120-USB review. This is a sleek piece of equipment, that’s for sure, and it primarily comes in a black and silver model. It is a compact model, at just 13.9x6x17.8”, so it will easily fit into any space you need it to, without being too bulky or getting in the way. Most computer tables will accommodate this extra piece of equipment without much trouble. It is also quite lightweight for what it is, at just 23.5lb, so can be carried out for those DJs who need to transport equipment from place to place. When you picture old turntables, with their large bulky bases and long arms, you could be forgiven for thinking that this is going to be the same, but you will be pleasantly surprised at the streamlined version. This is where we get a little bit technical when discussing the Audio-Technica AT-LP120 specifications on offer. You are getting a high-quality piece of kit here, for very little in the way of cost when you consider all elements. There’s a lot of technical information there, and much of it you might not understand if you are just starting out in the music mixing business. Of course, you can also use this product simply for listening to your old vinyl records, and that is an absolutely legitimate use for it. Do bear in mind however that the Audio-Technica AT-LP120 runs on 120 V AC voltage, so if you are ordering this from outside the USA, check your voltage and whether it is compatible via an adapter. An Audio-Technica AT-LP120 turntable is certainly to be recommended for experts and beginners alike, and the great thing about this product is that it is so versatile. If you understand it’s specifications, then you can use them to their max. If you aren’t so sure at the start, you can either use it for your basic needs, or you can work your way up to fulfilling its potential as you experiment with your musical needs. Certainly for the cost, this is something you can make different uses out of, depending on your level of expertise and your basic requirements too. This model is currently on the market with very affordable price, certainly a quality choice for the price. If you want to buy the associated software bundle, then you will pay a little more, but this might be an additional consideration later on if you don’t intend to use it for professional purposes. 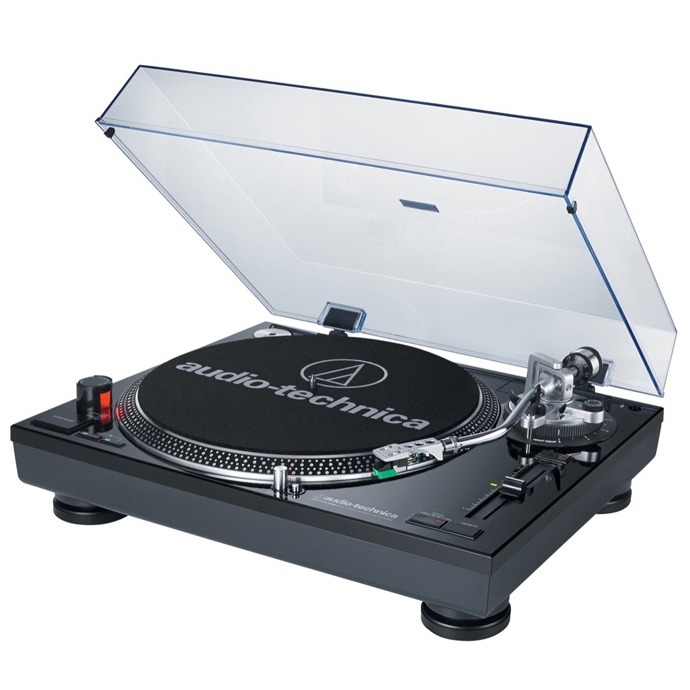 If you are a music enthusiast who wants to play around with different settings and digitalize your old favorite vinyl records onto MP3 while working your way up to DJ standard, or perhaps a DJ who needs a new piece of kit, the Audio-Technica AT-LP120 is certainly worth the price tag. At just under $300, you aren’t going to break the bank when purchasing this model, and you will get quality for what you pay. If you are interested in another one great record player under 300$, check record player reviews of TEAC TN-300 Review , or Denon DP-300F Review . 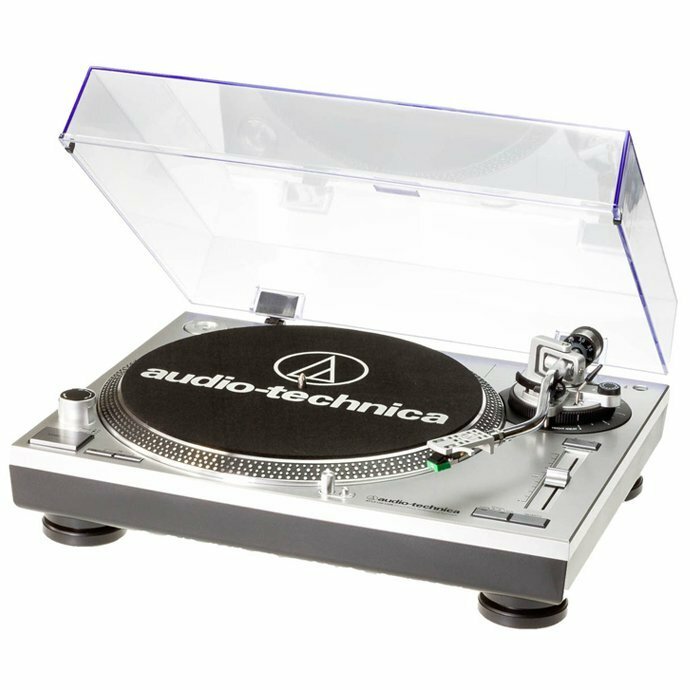 In a case you need a manual for this turntable, you can view it(or download it) here: Audio Technica AT-LP120-USB Manual.